Arsene Wenger has refused to be drawn on the controversy surrounding his private life. 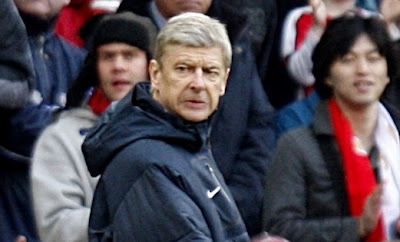 The Arsenal manager told journalists at his post match press conference he would not speak about his private life. When the Frenchman arrived in England there was a witch hunt led by one red top newspaper which had reporters investigating Wenger's personal life for months following unfounded allegations. There was never anything unearthed in their prolonged probe. "I arrived 14 years ago and you know what happened and I promised myself I would never comment any more, because for 14 years I have been insulted everywhere in England, and never with any truth. "I promised myself I would never speak about my private life any more."